Вартість: 16998 грн. + 979 грн. (доставка) + розтаможка 6999 грн. Test the limits of your creativity with the premium mirror less camera that’s focused on speed. Every artistic shot you take-from fast-action to candid-benefits from 24.3MP detail and the world’s fastest autofocus. For capturing crucial moments that go by in a blink, the α6000 can shoot 11 frames per second. It’s compact and easy to use, too. Two quick-access dials let you change settings on the fly. Beyond notable imaging traits the image processor also lends itself to continuous shooting up to 11 fps and an intelligent Fast Hybrid AF system that uses both phase and contrast-detection methods to quickly and accurately acquire focus. For live view monitoring image playback and menu navigation both a large rear monitor and detailed electronic viewfinder are available. The 3.0 921k-dot XtraFine LCD screen features a tilting design to facilitate easier use from both high and low angles and also incorporates whitemagic technology for easier viewing in bright conditions. The 0.39 1 440k-dot Tru-Finder OLED EVF offers 100% frame coverage and a refined optical design to provide a natural viewing perspective and magnification. 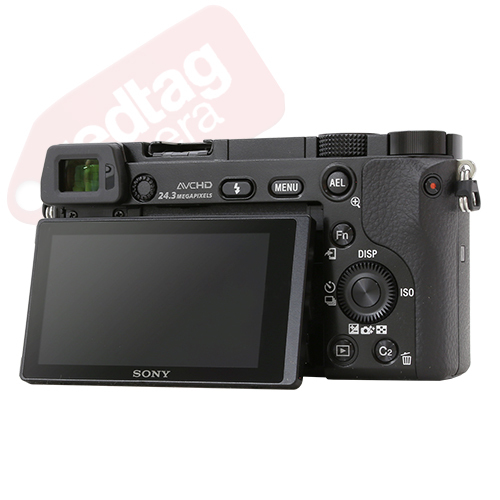 The body design of the a6000 also houses a configurable user interface built around several customizable buttons and two control dials for efficient and intuitive access to frequently used camera settings. Additionally a multi interface shoe is available for attaching external flashes, continuous lights or microphones. Built-in Wi-Fi connectivity with support for NFC-enabled devices is also integrated into the a6000 to support remote camera control and image sharing to linked mobile devices. 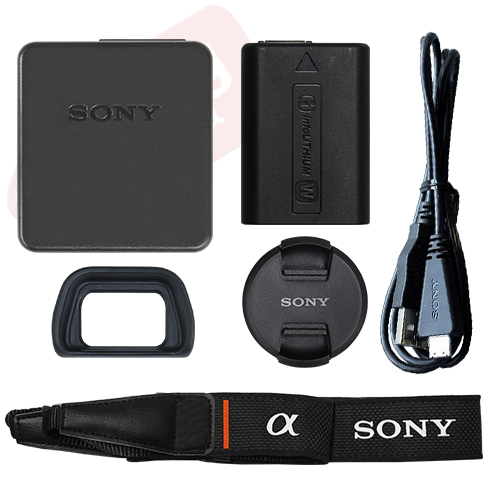 Included with the camera body is a Sony E-mount 16-50mm f/3.5-5.6 OSS Retractable Zoom Lens which provides a 35 mm-equivalent focal length range of 24-75mm. 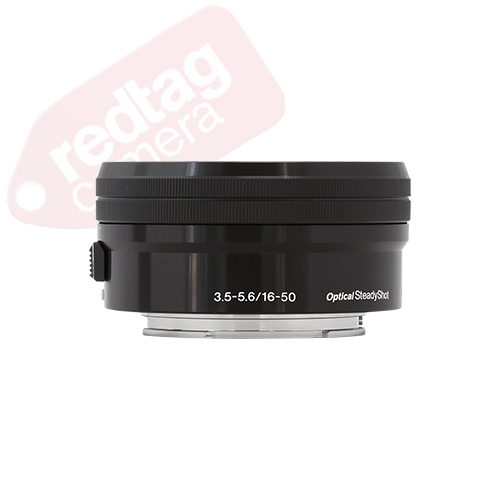 This range of perspectives is well-suited to everyday shooting and is further enhanced through the inclusion of Optical SteadyShot image stabilization for minimizing the appearance of camera shake. Power Zoom technology allows for electronic control over the zoom position and the inclusion of one extra-low dispersion element and four aspherical elements helps to reduce chromatic aberrations throughout the zoom range as well as contribute to high overall sharpness. 24.3MP APS-C Exmor APS HD CMOS sensor, BIONZ X image processor, tru-finder 0.39" 1,440k-Dot OLED EVF, 3.0" 921k-Dot Xtra fine tilting LCD, full HD 1080i/p AVCHD video at 24/60 fps, built-in Wi-Fi connectivity with NFC, fast Hybrid AF & 179 phase-detect points, up to 11 fps shooting and ISO 25600, multi-interface shoe and built-in flash, Sony 16-50 mm f/3.5-5.6 OSS zoom lens. 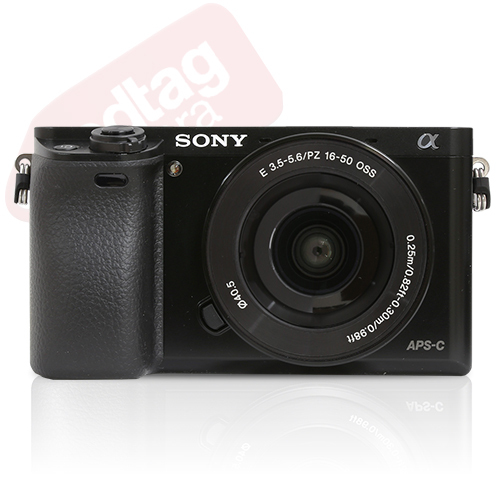 The sony Alpha a6000 mirrorless digital camera is a versatile and advanced mirrorless camera featuring a 24.3MP APS-C-sized Exmor APS HD CMOS sensor and BIONZ X image processor to produce high-resolution still images and full HD movies with marked low-light quality and sensitivity to ISO 25600.